Two weeks ago, I walked into the Sveti Stefan resort in Montenegro with a sense of foreboding. The location was stunning: a sprawling cluster of villas on a private island rising out of the intense blue waters of the Adriatic. Legend had it that it long before it was turned into an uber-luxury Aman hotel, it was Tito's summer retreat where he would smuggle in glamorous visitors, Sophia Loren amongst them. But somehow, the scenery or the history was lost on me. 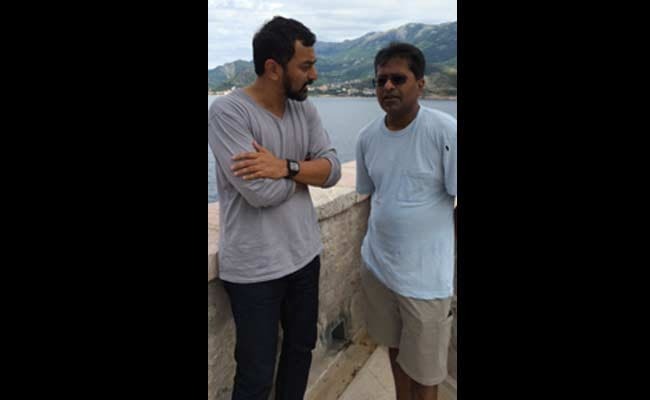 A tweet from Lalit Modi that he was giving an interview to my ex-colleague Rajdeep Sardesai had triggered the panic button in our newsroom; the next thing I, knew, I was uprooted from a European holiday and sent on a 12-hour air dash to this Balkan isle. Before I left, I had the briefest word with Modi letting him know I was on the way, and that he had to do an NDTV interview as well. He said "sure" breezily and then proceeded to advise me on the best way to get there. Past experience had taught me -- or anyone who has dealt with the man -- that his word is as temporary as his mood. Hence the foreboding, and hence the urgency to meet him the moment I arrived. He asked me to come to a dining area where he was breakfasting. "Get me a glass of Coke," he told the waitress,"with lots of ice". It was about 10 in the morning. "Would you like to see the menu", she asked. "Menu? Why do I need to see a menu for breakfast?" he snapped. "It's the same thing every day." As she scurried off to get his scrambled eggs, he pulled out what looked like a silver nail polish canister. By this point, I was prepared for anything. It turned out to be container for red chili powder, which he proceeded to sprinkle over his eggs. The next hour or so was a prolonged rant over topics familiar to anyone who has had a brush with Planet Lalit: his unfair hounding by the government, how the media is misguided in its focus over the Sushma Swaraj-Vasundhara Raje controversy while in fact it should be reporting corruption in the BCCI, and the usual promise of mega-revelations that will "shake the system." Taking advantage of a small pause, I asked him to fix a time for the interview. "I have CNN-IBN at 4pm. We will do it at 4:30," he said. Why not now, I asked? "Because my astrologer told me this is my maun (silent) period," he said. I looked closer for a hint of irony. There was none. We strolled out onto the deck and proceeded to record a mini-promo for the interview. He then tweeted the schedule of interviews, and we parted ways. Within about 20 minutes, my office was calling frantically. "Have you seen his tweet?" they asked. (That cursed Twitter again). My worst fears had come true: it was along the lines of "breaking news, no interviews because of gag order by my lawyers." I rushed to where he was lounging by the poolside, smiling and sipping Coke with complete unconcern. "I am very sorry", he said, "but my lawyers say if I keep talking to the media, they will no longer represent me. I can't ignore them; they have saved my life." The next hour was a blur of arguing with him, calls back and forth with my office, calls to his lawyers. Eventually, as the sun sank over the Adriatic, it was clear that he was not to be persuaded. "Don't worry," he said, "we will do it soon. And when I do, you will be the first." He then proceeded to tweet this promise. "Come and have dinner with us". This was a tricky offer (Rajdeep, I believe, had blogged about grappling with a similar dilemma a day earlier). On one hand, the risk of how dining with the proverbial devil would be interpreted. On the other, a chance that the dinner may yield, if nothing else, information. Or at the very best, the chance to convince him for an interview. So dinner it was, with Lalit Modi and and entourage befitting his self-image as a global jet setter: a Palestinian gentleman based in Abuja who introduced himself as in the packaging business, his half-Jordanian wife, and two young ladies introduced as Fidel Castro's grandnieces (Modi was recently in Cuba, part of his 'humanitarian' world tour which also included Madrid, Ibiza and Venice). The evening was essentially a monologue (like the breakfast, except with alcohol). 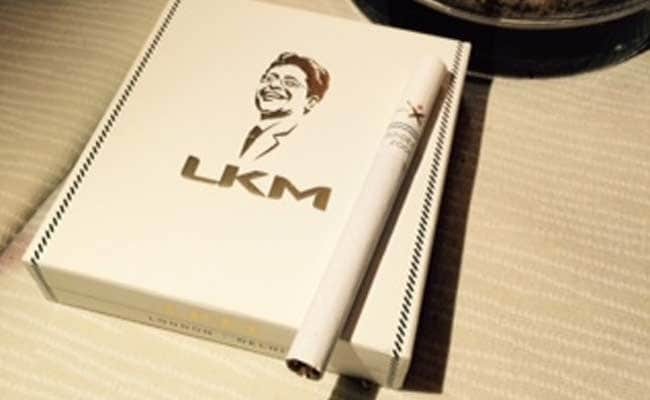 But the nighttime air had made Modi more garrulous, candidly describing his friendship with the two BJP political stalwarts whose proximity to him had landed them in trouble, flaunting an SMS exchange with Amal Clooney, and showing me his personalised Lalit Modi cigarettes with his image on the cover (on each cigarette is inscribed the following: "Founder IPL". I am not making this up). In the bargain, was the evening a worthwhile call? It's hard to say. Not everything he said was reportable, but there were enough nuggets to pursue - for instance, his mention of his friendship with Ron Noble, the former head of Interpol ("my brother from another mother," as he put it) was a terrific lead for a story we eventually did - both for the unlikely friendship, and for what Noble had to say about India's efforts vis-a-vis Interpol. Over the next week, as Lalitgate continued to make news, I stayed in touch with him, pushing him for information as fresh revelations kept tumbling out, sometimes getting a response, other times not. As for the interview request, true to his somewhat schizoid nature, every time I would raise it, he claimed he was still under a gag order by his lawyers, even while sustaining a frenzied, libel-rich Twitter crusade, taking on a new target every day. I was taken aback then, when two days ago, Twitter announced that he was giving another interview, again to Headlines Today. I messaged him repeatedly, reminding me of his promise. No reply. I then tweeted him publicly. Again no reply. 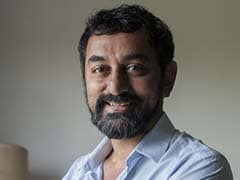 A considerable amount of time later, he messaged saying it was only a cricket-based interview, and that he was prepared to do the same with NDTV. I had by then lost patience with this constant duplicity, and told him so in no uncertain terms. Not surprisingly, Modi put our entire exchange on - where else - Twitter. For those who have the patience, his tweets (which included the somewhat hysterical suggestion that I was trying to threaten him) and my replies are reproduced at the end of this piece. Two things are clear from this: a) I will not be getting the next Lalit Modi interview - or even the next one; and b) The internet rightwing, with its usual discerning taste has found in Lalit Modi its newest icon, using a selection criterion that is prepared to overlook ED notices in favour of anti-liberal media tweets. Oddly, despite his petulant outburst, I have no hard feelings against Lalit Modi. My primary umbrage remains the breach of a promise, not so much the loss of an interview. Having seen his previous efforts, I think (and this is not sour grapes; I believe some of my fraternity who have had the pleasure will agree) the man is less entertaining as an interviewee than he is off camera. Even if the irony is in short supply. I go back to the catastrophic day in Montenegro when he pleaded a gag order to cancel the interview. I told him he will have to announce his refusal on camera. He agreed, promptly going off to change from shorts and T-shirt into resort-wear: a linen kurta matched with flowing pajama. "Lalit", I remarked, "you look like the Monk Who Sold His Ferrari". He looked momentarily nonplussed. "But I haven't sold my Ferrari ? I still have it. " Dear @LalitKModi, thanks for sharing our messages. What does it prove ? That as a journo I asked for info / interview ? Isn't that my job ?